Komodo National Park in Indonesia is at the confluence of Indian and Pacific Ocean. It hosts one of the most spectacular coral reefs in the world. 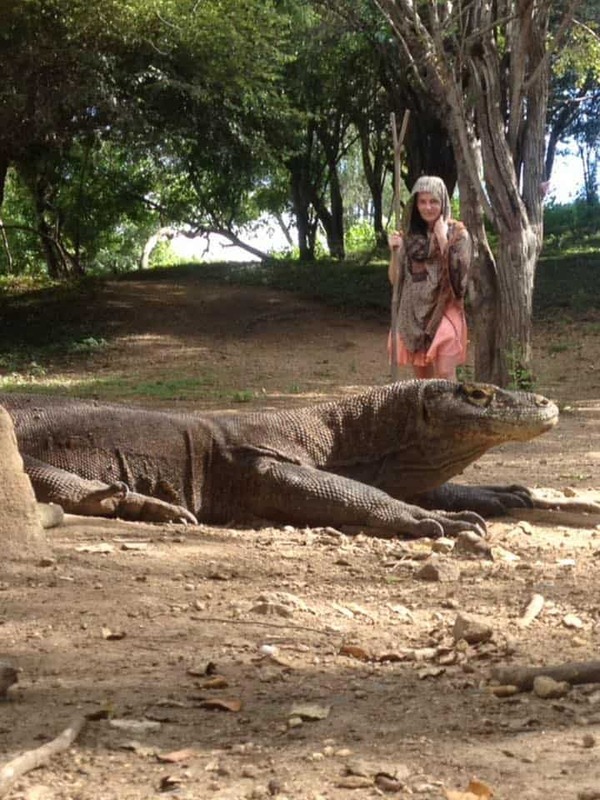 It’s also home of the Komodo dragon, the largest lizard in the world. Super day in Komodo National Park, Indonesia, the only natural habitat of the Komodo dragon (aka varan) – the largest lizard in the world, and home of one of the best preserved and affluent coral reefs at the confluence of Pacific and Indian oceans. We saw 7-8 gigantic manta rays in low visibility, so I’m thinking we were probably surrounded by them ?. Also, 2 reef sharks – one of them so close under me that I was afraid my diving skills are rusty and I may fall on it, so I slowly distanced myself. The manta ray picture is not mine. I took it from the Internet just for the sake of proportions (show off). If I had a camera, mine would have been better – with three of them around us at one point ?.